Cut the sides of bread and place them on flat surface. Apply butter generously on 2 of those slices. Cover the other 2 with green chutney. 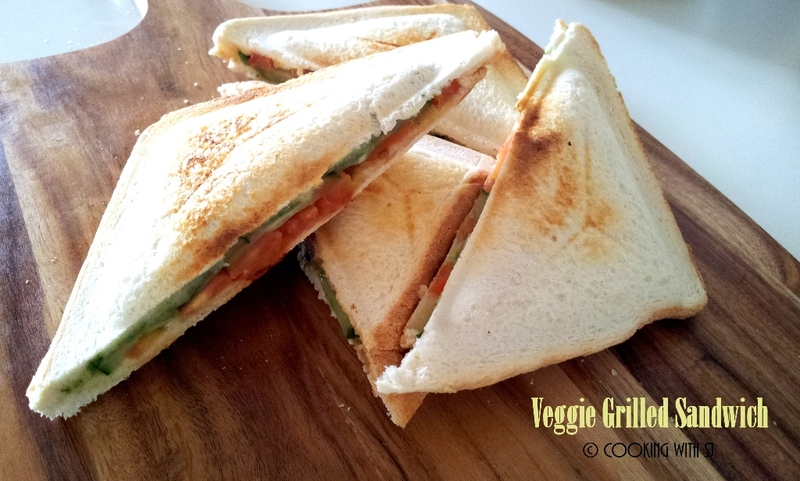 Arrange potato slices on bread with chutney, then cucumber ones over it and on top, tomato slices. Sprinkle chat masala according to your taste. 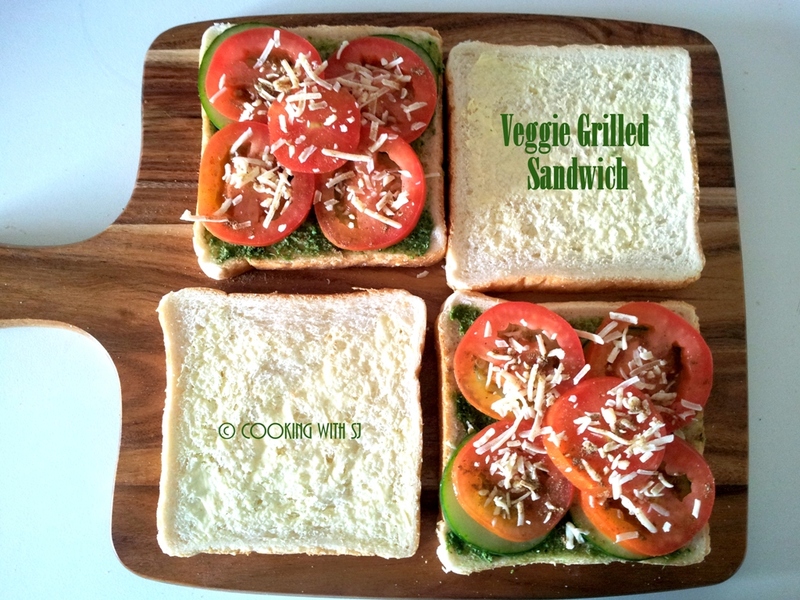 Cover with buttered bread slices and grill them in sandwich toaster. Add grated cheese before sprinkling chat masala, if you’re planning to serve it to your kids! Its so very yummy shruti :))) cant resist…i even liked the wooden plate/platter on which you served the sandwiches !!! !